Because I'm notorious for creating a system to remember where things are planted and then losing the system, I opted to do something that would keep my labels nice and close. 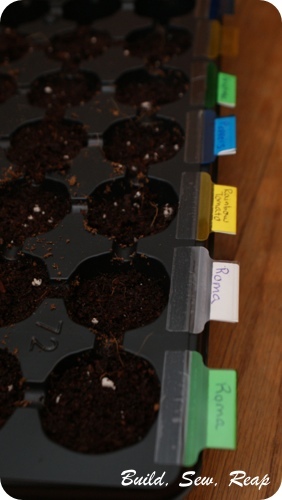 Using some self adhesive folder tabs, I marked which seeds I planted in each row. The lid doesn't fit on tightly now but it never really did anyway so I don't think it's going to affect seed germination in the long run. 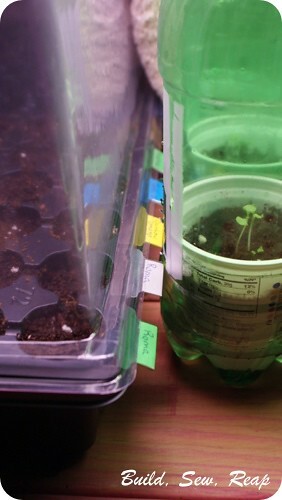 And there's a sneak peek at my homemade mini greenhouse. Love the tabs! Did you start everything or just got everything ready and will plant each row as time goes on? 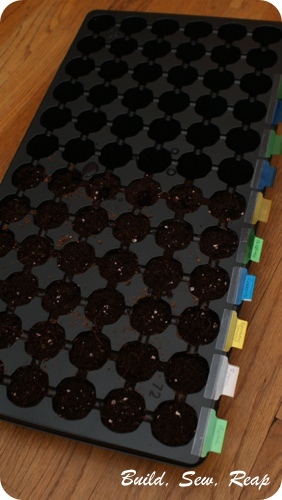 I only used about half the tray for the seeds I planted and left all the rest of the cells empty. 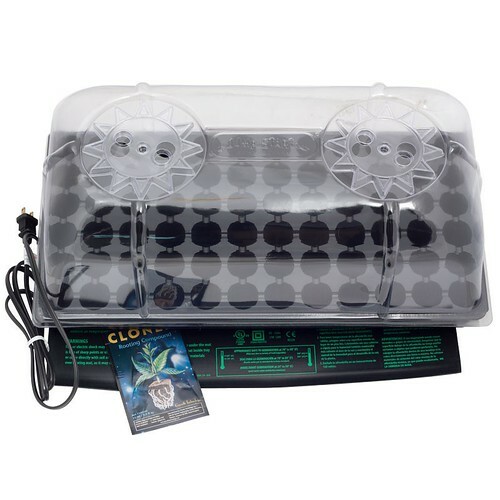 I am adding water to the tray under the seeds instead of watering the cells directly so I don't want extra cells soaking up the water. I don't know if I'm going to be starting any other seeds in here or not, I think everything else will be planted directly in the garden.